Earn $1.49 in VIP credit (149 points)What's This? Trail Butter's 16oz. Jar is packed with nutrient dense nut butter blends that are ideal for fueling during exercise but they're also great for satisfying those midday snack-attacks. Click on the drop-down menu to find out which flavors are in stock. I never thought this would happen to me. My friends fathers used to try and share their nut butter with me when I was a wee lad but I always thought it would be gross and made me feel weird when they were so persistent about it. 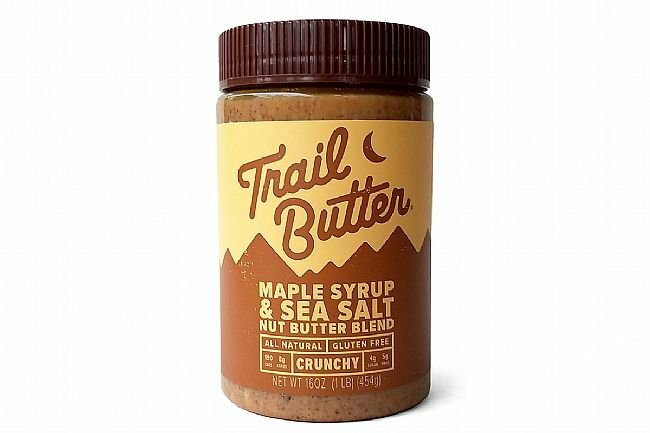 But now as a grown man, I found that not only do I LOVE nut butter but I try to share my nut butter with every one I meet on the trail. Sometimes they are taken aback when I leap from between the trees shoving my nut butter in their frightened faces, but I can understand how the sudden appearance of a grown mans nut butter can be alarming.